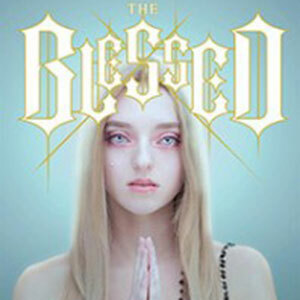 See what Kirkus, Publishers Weekly, and MTV are saying about the Blessed series! 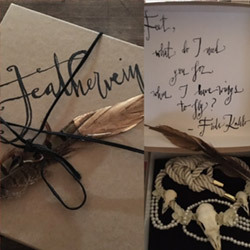 Feathervein, a YA contemporary fantasy, follows Wren, a lonely girl with a gift for communicating with birds. She leaves behind a fractured family to investigate her mother's mysterious disappearance on a birding expedition in the Louisiana bayous and enters a world steeped in folk magic. 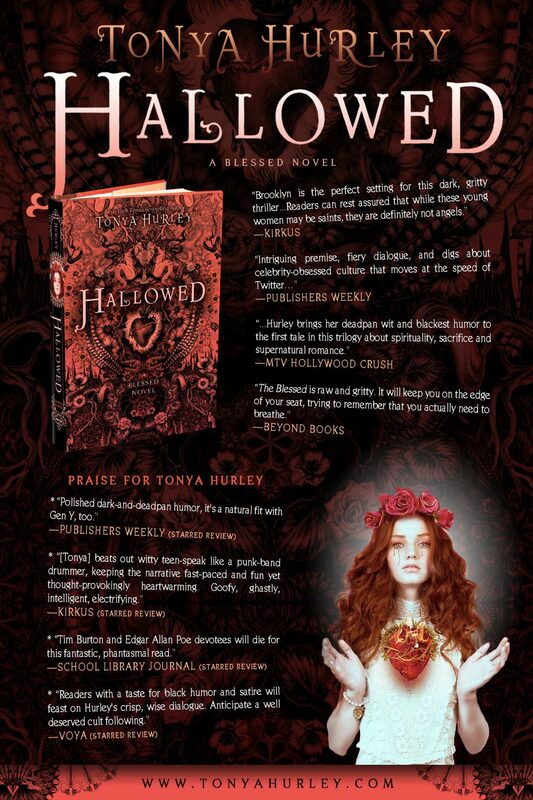 The third and final book in the Blessed series! Three lost girls, one mysterious boy. They battle for his heart while he struggles for their souls in this gripping conclusion. 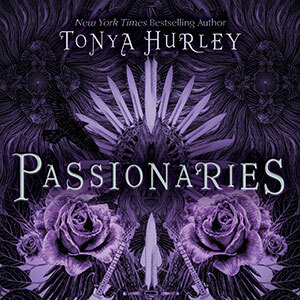 Read the book USA Today hails as a "hot new romance"! Three modern-day teens have been reincarnated as saints—or so they’ve been told. 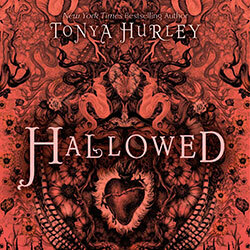 This dark, thrilling follow-up to Precious Blood blends the gritty with the miraculous. As we learned in Precious Blood, Agnes, Cecilia, and Lucy “may be saints, [but] they are definitely not angels” (Kirkus Reviews). They watched as Sebastian sacrificed himself for what he believed in, and now they have choices to make of their own. Will the girls trust in their destinies as saints and martyrs and perform the miracles as Sebastian instructed? Or will they lose faith in themselves and each other in his absence? Time is running out for them to make a decision, and the fate of the world lies in the balance. 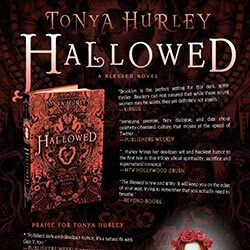 Last fall, Tonya Hurley released the first book in her Blessed trilogy. 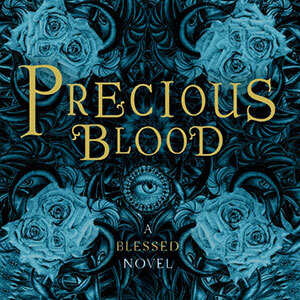 For the paperback release on June 25, the first novel in the series is getting brand new packaging, along with a new title, Precious Blood. Check out the new cover after the jump. Agnes refused her parents demands to marry at the age of 13, so she was sent to a brothel to live out the rest of her days. As she walked along the streets, stripped of her clothes and dignity, her hair grew down to her ankles, protecting her from onlookers. 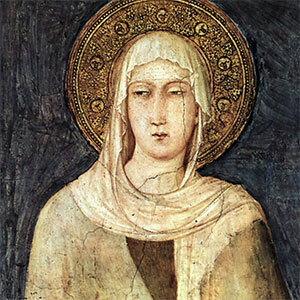 This is not a supernatural tale in the vein of zombies, werewolves, witches or vampires; this is the story of Saint Agnes, born circa 291 A.D. Young adult stories are all the rage now with “Twilight” and “The Hunger Games,” but the first YA stories ever told were the stories of saints. It’s rich fodder, and inspired me to write a teen series reimagining three saints as modern-day Brooklyn teens.